Interracial dating refers to dating outside of your race, but some people are still confused as to what this is. It may be scary to be with an interracial partner, especially if this is your first time, but there is nothing to worry about. Let’s get to know what interracial dating is and everything that you need to know about it. Interracial dating as mentioned above means dating outside your race whether its black, asian, white pink or blue!, People who are into this kind of dating want always to expand their options when it comes to the dating scene. 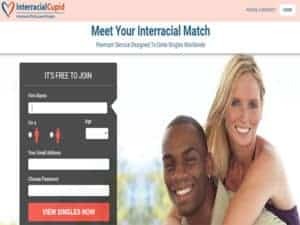 Fortunately, there are a lot of interracial dating websites that will surely help you find the right interracial man or woman for you. Just take extra precaution because not every site is legitimate. As you all know, one of the hottest topic today or ever is a person’s race. 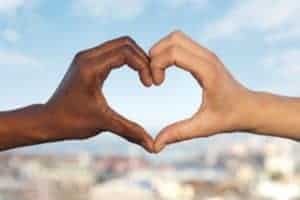 Some people think that getting into an interracial dating will do more harm than good, but this depends on the person that you are trying to date. 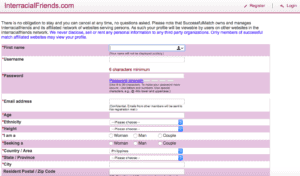 That is why romancescams.org is here to help you ensure that you will be looking dates at a legitimate site. Some may say that it would be best to stick with the same race as you. But what they don’t know is that it is fun to be with a different race. For instance, since both of you have different races, it means that both of you can learn from each other. Some of the things that you can learn are traditions, different dishes, and of course getting to know the country where your date is from. Another great thing about interracial dating is when both of you eventually decide to get married or have children, you both will surely produce gorgeous kids. People will inevitably be envious of your kids! Here are some things that you will experience when it comes to interracial dating. For people who don’t know, yes, racism still exists up to this day. One of the races who is experiencing these racisms are people who are into interracial dating. This may be the reason why some people end up breaking up. One will believe what the people around them are saying or will give in to the society’s pressure, and of course their family’s opinions. If a relationship doesn’t have a solid foundation, the tendency of it to fall is highly likely. The best thing that you can do when one of you hears something that is not right from someone close is to talk about it. As partners, you need to talk about things together so you can come up with a good solution. Don’t let other people dictate who you both should date. Yes, it may be challenging to ignore them, but for as long as you have each other, then there’s nothing to worry about. Of course, there will come a time where your partner will introduce you to the family. You need to be prepared for any reactions and comments about you. There are stories wherein a family member decided not to go to the wedding because the member does not approve of the relationship. Yes, this can still happen, but if you two have a strong, solid foundation, then there’s nothing to worry about. The next thing that you need to do is to know how to ask questions. Don’t stop yourself from getting to know the other person. Always remember that it is better to ask specific questions that leave them and just assume. When it comes to interracial dating, this is an important aspect. As this will help prevent misunderstanding and miscommunications. It would be nice to get to know people who are in the same relationship as you. The reason behind this is because they will help you understand things that you don’t know. You will also get a support group when things get rough. They can help you answer the questions that you have in mind. If getting into an interracial relationship is hard or if you can withstand the people who will keep on trying to ruin what you and your partner have. Typically, you can find interracial couples in your group of friends. But if not, then you can try social networking sites. Of course, you can also check videos online and listen to them how they managed to get through the difficulties in their relationships. These videos will help you understand everything and be encouraged as well. Some people think that dating an interracial means avoiding the talk about race. The truth is, it is ideal to talk more about it. You need to be comfortable talking about it, especially when you are new to the relationship. The reason behind this is because you will be asking specific questions. Your partner will also be asking the question, including does he have friends that are diverse and such. Diversity may exist in most culture and knowing your differences may be subtle, but always remember that you both have similarities. Focusing on both of your analogies will make things better. Always remember that if you truly and love each other, then adapting to the cultures of each other won’t be a problem. When I say be respectful, it merely means that you need to be respectful of your partner’s ethnicity and culture. At the beginning of the relationship, you will both get to know the differences that you both have. But if you know how to respect each other, then understanding how both of you behave on certain aspects would be best. 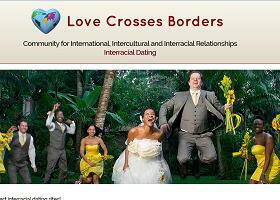 Since you are into interracial dating, it would be best to talk all about your differences. You can make up scenarios so you will have something to talk about. You will also know how your partner will react to specific situations. Talking about both your differences will help you to be more open when it comes to future discovery. Assessing is yourself is essential not only in interracial dating but any other datings as well. Ask yourself questions, like are you patient, courageous, and reliable? Are you more than willing to change certain things just for your partner? If your answer to all these questions is yes, then you probably will be able to handle an interracial relationship. If not, then it would be best to reassess yourself. If you are not mentally and emotionally healthy, it would be hard for you to be in interracial dating. The reason behind this is because you will always seek approval of your family and friends. This can cause problems with your partner, which will only end up in a disaster. But if you are someone who is mentally and emotionally strong, then you are probably ready with interracial dating. You will surely be able to handle this. As you all know, racism still exists today. You will probably encounter people saying negative things about you or your date. You will also be asked questions that are insulting. But if you learn how to ignore them, then you won’t be having problems. Of course, there will be some instances where an answer is required. The best thing that you can do is to answer the question in the smartest way possible. And it would also be best to avoid arguments. The answer to this question will depend on you and on how you are going to take everything. For instance, there are still people in the world who are racists, and they may be against your relationship, or they may be against your dating preferences. But if you are going to let them affect your dating preferences, then you inevitably might end up dateless. Every kind of relationship has its ups and downs, and it will depend on you on how you are going to deal with them. If the person is significant to you, then there won’t be a problem them.